Welcome to Brothers Aston Villa Football Club. The committee would like to extend a warm welcome to all new and returning players and families. Registrations are now open for the 2019 football season. Club Photos from seasons past and present. Brothers Aston Villa has a range of playing opportunities for men and women. We currently have teams in Under 19, Divisions 1, 2 and 3 Men and Divisions 1 and 2 Ladies and both Over 35 Men and Over 30 Women Social Teams. 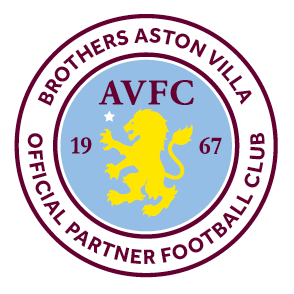 Play soccer with Brothers Aston Villa Football Club! We have teams from Under 6 to Under 16 for boys and girls in miniroos and competition age groups. © 2019 Brothers Aston Villa Football Club Inc.